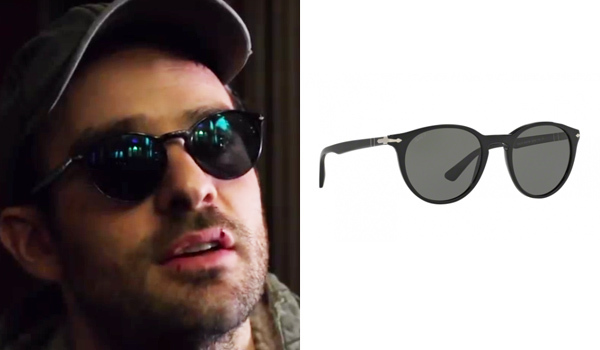 The Masked Man, portrayed by Charlie Cox, is the unofficial vigilante costume of Daredevil. 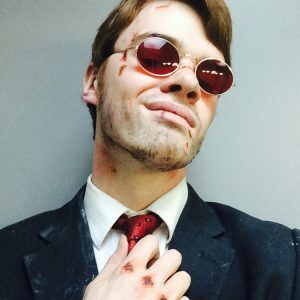 The costume that Matt Murdock initially wears in season 1 before he gets his Daredevil costume and it's back in season 3 with a few modifications. The mask that Charlie Cox wears in Daredevil for his role as The Masked Man in season 1 is a dark see through fabric. We recommend this one made of nylon and spandex (for elasticity). To make the mask, just cut out a band and make a knot behind your head ! 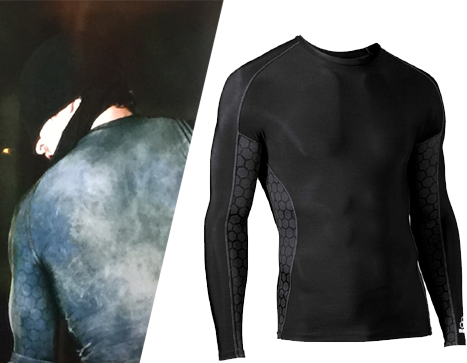 The shirt that Charlie Cox wears in Daredevil for his role as The Masked Man in season 1 is a black compression shirt. 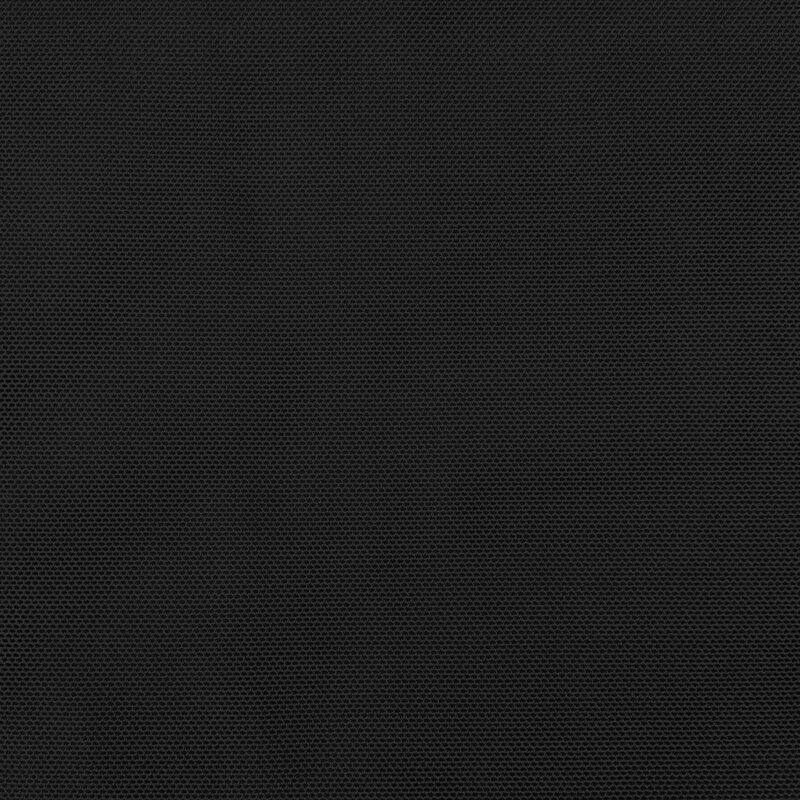 This is the exact match for the "Masked Man" compression black shirt. 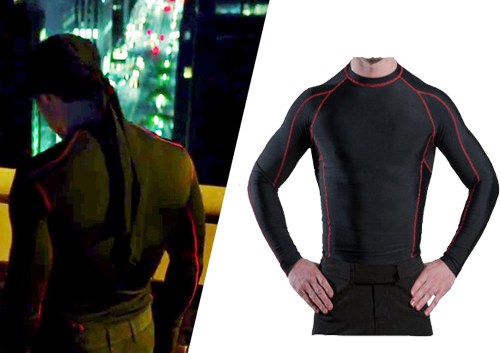 The second shirt that Charlie Cox wears in Daredevil for his role as The Masked Man in season 1 is a black and red compression shirt. This is also the exact match for the "Masked Man" compression red shirt and it's cheaper. 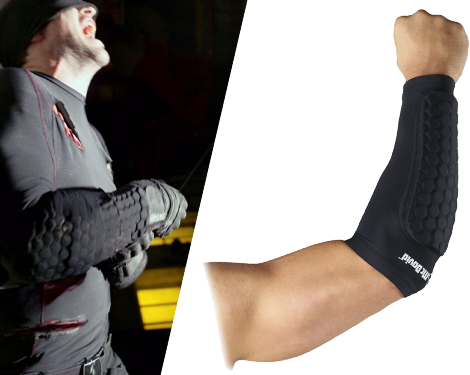 First part of the Masked Man arm protection, the hexpad sleeve. 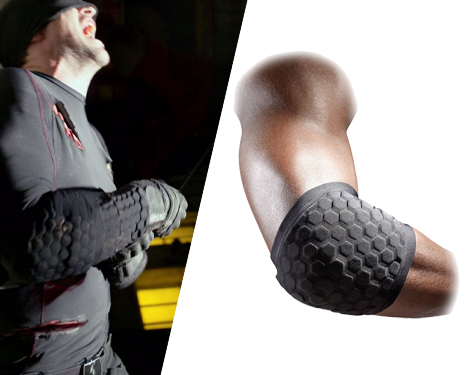 Second part of the Masked Man arm protection, the hexpad elbow pad. 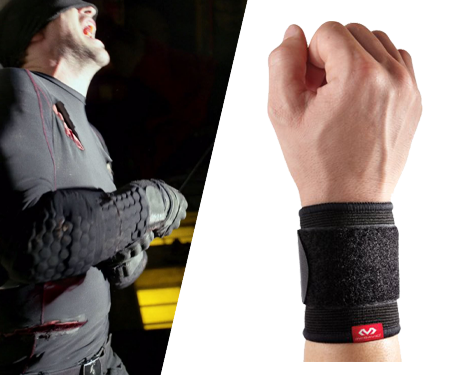 The elastic wrist support to complete Matt's arm protection. In Season 3, Charlie Cox has a similar Masked Man Costume but it's a rougher version for two reasons. First of all, he has access to limited materials since he's staying at the church and the second reason is he's embracing his devil side. 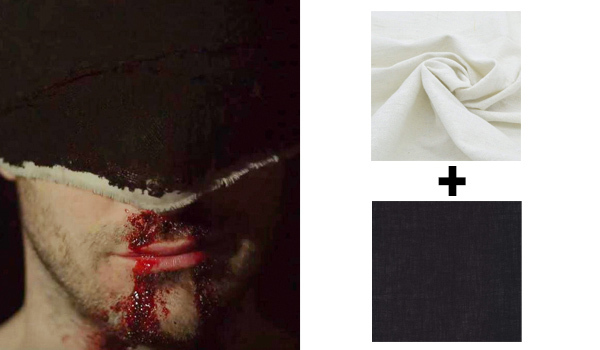 The mask that Charlie Cox wears in Daredevil for his role as The Masked Man in season 3 is a combination of 1 black and 1 white linen fabric. We recommend getting ivory white linen and black linen, roughly tearing them appart, and then sewing the white part to the bottom of the black linen so you don't loose visibility when putting the mask on. 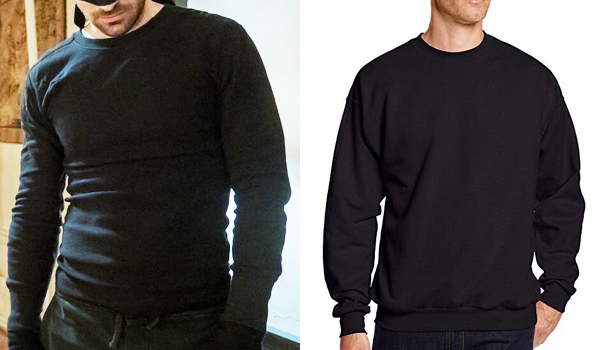 The sweater that Charlie Cox wears in Daredevil for his role as The Masked Man in season 3 is a simple black crew neck sweater. We recommend you take a size below your own so it fits you correctly. 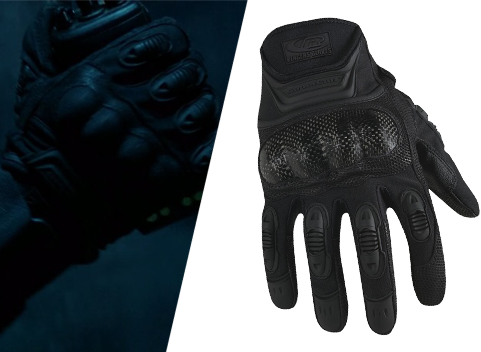 The gloves that Charlie Cox wears in Daredevil for his role as The Masked Man in season 3 are black fingerless gloves to which he adds some thin rope. 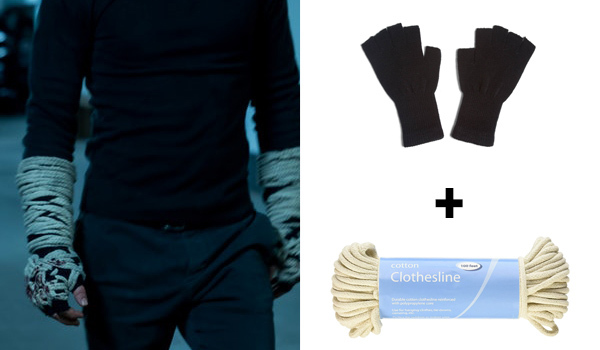 We recommend getting these wool mittens and combining them with clothesline. Don't forget adding some fake blood for added realism. The shoes that Charlie Cox wears in Daredevil for his role as The Masked Man in season 3 are the same he wears in Season 1 and 2. 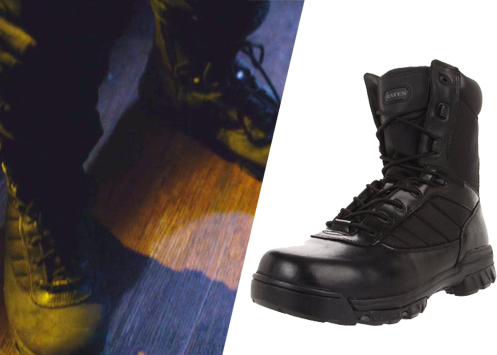 They are Bates Tactical Boots. Exception tips on how to get me where I need to be on my costume someone who pays more attention then me is always awesome ! 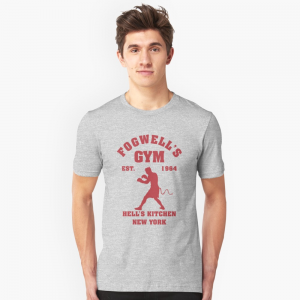 Regarding both costumes for Daredevil season 1 and season 2, you do not mention the kind of pants he wares for the complete post, why not?? or if it was just a error please add the pants, the list is so good but it feels like the pants is a major omission! !